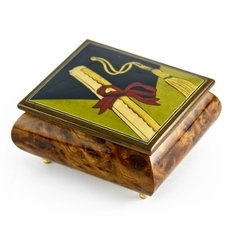 As graduation season nears, you might be thinking about presents for everyone walking across the stage this year. 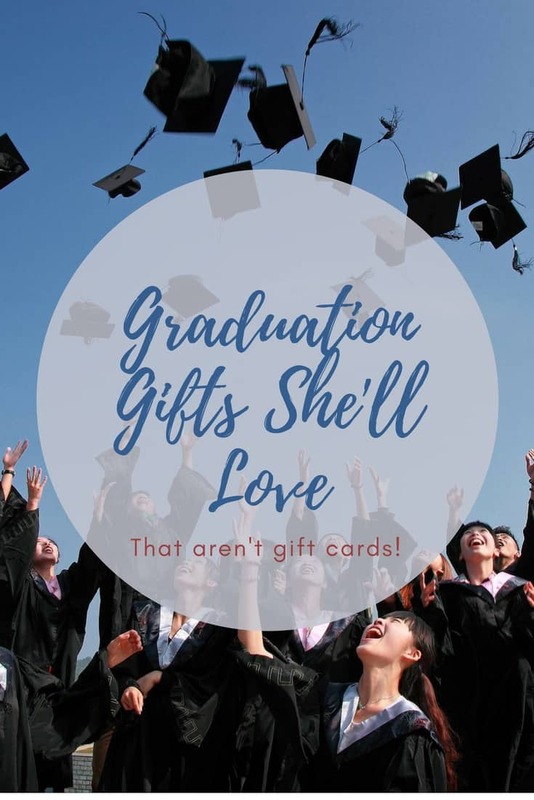 If you’re looking for something that’s more thoughtful than just a gift card, here are some ideas that recent grads will definitely appreciate! 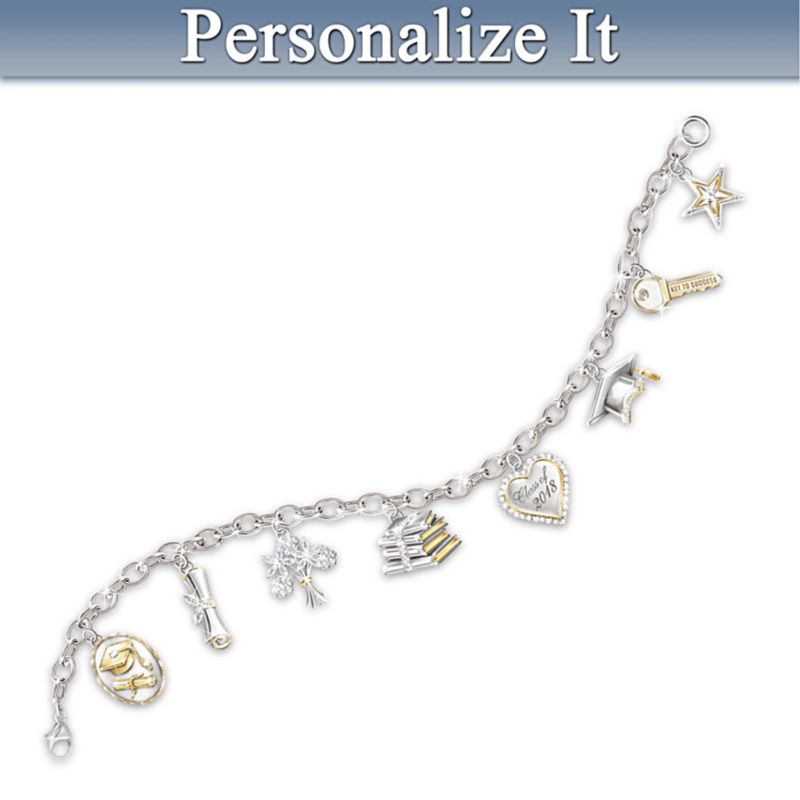 This beautiful Personalized Swarovski Crystal Graduation Charm Bracelet is the perfect way to show your graduate just how proud you are of her! These gorgeous personalized music boxes let you pick from 100s of different pieces of music and engrave it with a personalized message. There’s no gift more special! When your graduate is doing homework on the floor of their friend’s room, they’ll be thanking you for a Lap Desk. From makeshift tables to desks, they have a million different uses! College can be loud. Help your graduate keep sane by gifting them a nice pair of Noise Cancelling Headphones so they can focus when they need to. 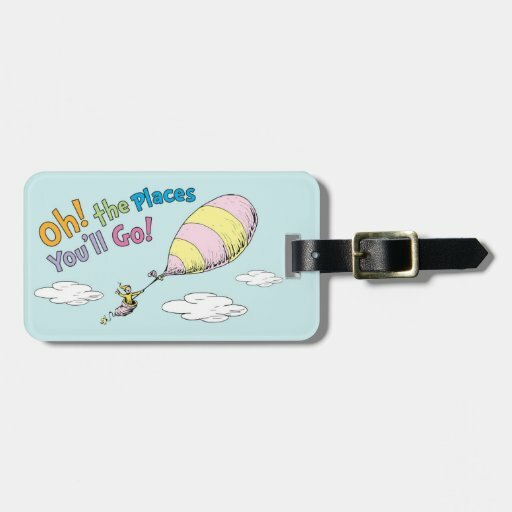 Dr. Seuss’ traditional graduation book comes to life with this Oh The Places You’ll Go! baggage tag. It will remind grads that they’re on an exciting journey, even if it can be a bit scary! Scratch off world maps are a great way to see how everywhere she’s been and where all she still has to go! If she’s aspiring to travel the world, this is a fun, meaningful gift she’ll love. Unsure what to get her? This Congratulations Travel Gift Basket has all the fun stuff she needs to start traveling, from luggage tags to travel slippers and more! All she’s missing is the plane ticket! All college students need coffee, so why not let your graduate feel good while they drink it? 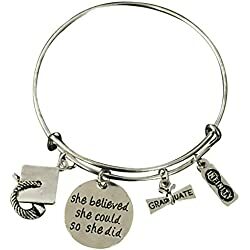 Inspirational Mugs are a great way to show your graduate you believe in her and it’s a gift they’re sure to use! Graduation is a time of memories, and Instant Cameras are such a fun way to get to see your memories quickly! This is a gift that your grad will be able to use for a long time coming. Dorm room walls are often white, so why not spruce them up a little with a Tapestry? There’s tons of different styles, colors and sizes out there, so you can definitely find one that your graduate will love! Beds in college dorms are frequently lofted, making it difficult or even impossible to line up a night stand. That’s why this Dorm Bed Shelf is such a great gift; it’s a little shelf that attaches to the lofted bed allowing for storage up high! Dorm rooms sometimes need a bit of life added to them, which is why I recommend gifting your graduate a Terrarium. They can pick what to grow and they’ll be able to display it in their dorm room! This clever gift combines two of the essential dorm room decorations: clips to hang photos and fairy lights! These Photo Clip String Lights are sure to help make her new room feel like home. Even for the most fearless teens, college can be overwhelming. College Hacks by Keith Bradford helps with that by offering tips to help make it go more smoothly. This is a must have for any dorm dwellers who might want to cook something! Recipes Every College Student Should Know by Christine Nelson features college-budget friendly recipes and tips on budgeting and more. Graduating brings lots of changes in a person’s life, but this One Line a Day Journal is a great way for your graduate to see where they’ve been! As the title suggests, simply write down one line everyday for five years and watch your progress. It’s also available in other colors and styles. The Naked Roommate is a great guide to many of the issues your grad might face in college – that’s why it makes such a great gift!